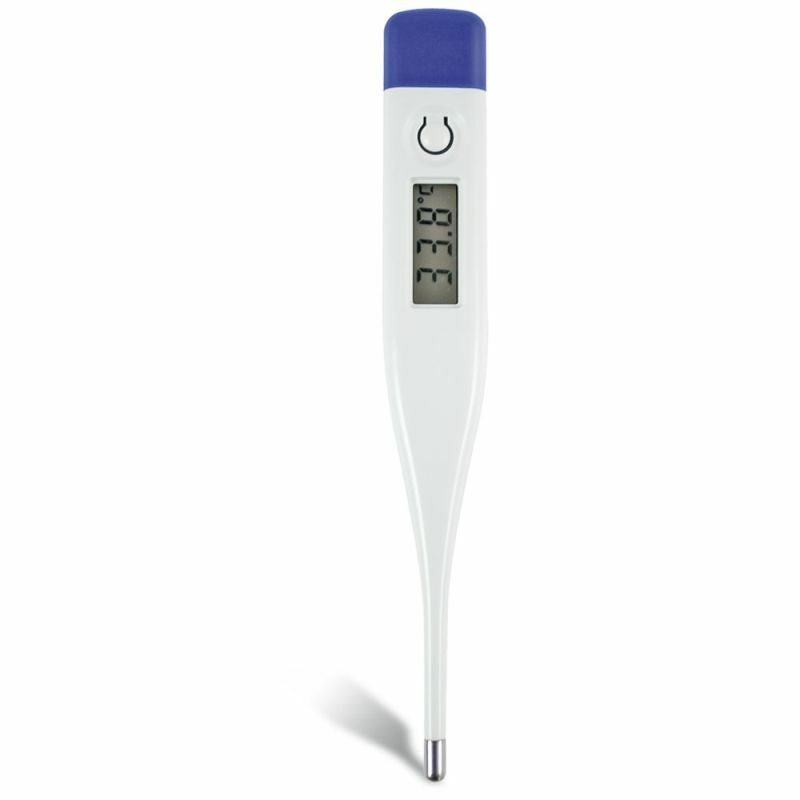 The Digital Body Temperature Thermometer is a highly accurate thermometer that is suitable for use by the whole family. 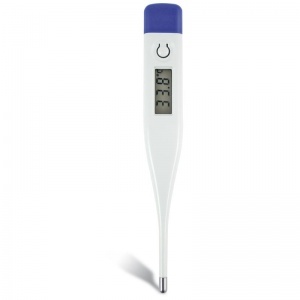 This cost effective thermometer is fully automatic and makes for a great alternative to the traditional mercury thermometers. Measuring temperature in Celsius, this Digital Thermometer features a clear LCD display that reads body temperature in just under a minute. It is suitable to use under the arm or orally, reporting equally accurate readings from both. This great value digital thermometer is convenient, easy to read and with accurate results; an important addition to any first aid kit and family home. 'Normal' body temperature has been said to be 37°C, however this can vary slightly from person to person, with temperatures between 36.5°C and 37.2°C also being considered as standard. It is always important to remember that temperature is not the only indication of illness. Please consult a doctor if your body temperature goes over 39°C or stays above average for more than five days. The Digital Body Temperature Thermometer is usually dispatched via First Class Royal Mail and delivery should be within 1 to 3 working days.